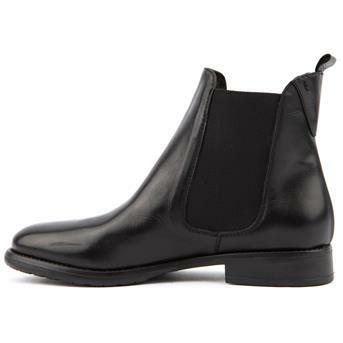 I’ve wanted a Chelsea boot for a while now, and then it started raining, and it became an essential. Suede and raindrops just don’t mix and not wanting to ruin my favourite mushroom suede boots, I set out on the challenge. I thought I wanted a mid heel but after trying these on from Jones Bookmaker, I knew a low heel was the one. I have worn these daily with my turned up Gap jeans… yes I do walk with a little more machismo but as long as I balance the top with a touch of femininity, I am very happy with the look. 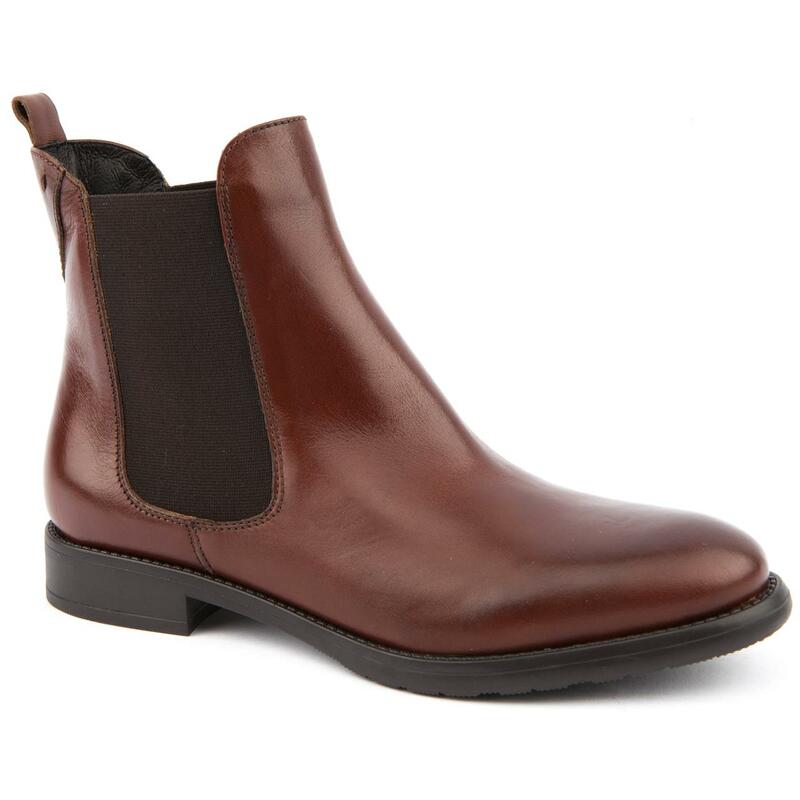 I love the rich chestnut leather with blue jeans but the black version is also a great shape to wear with opaque tights and a knee or midi length skirt as the fit is slim to the ankle and at present they are both reduced to £69. Good value, especially with free delivery. 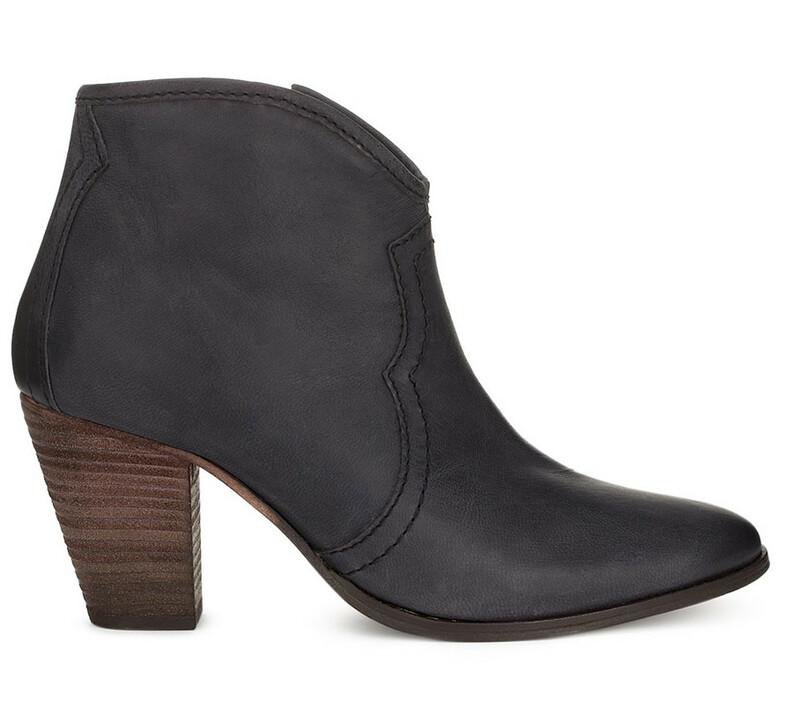 For more of a heel, Jigsaw’s signature Cara boot offers a slimming ankle effect, and I should know after years of ‘going over’ one’s ankle, I have cankles (as my daughter calls them!). 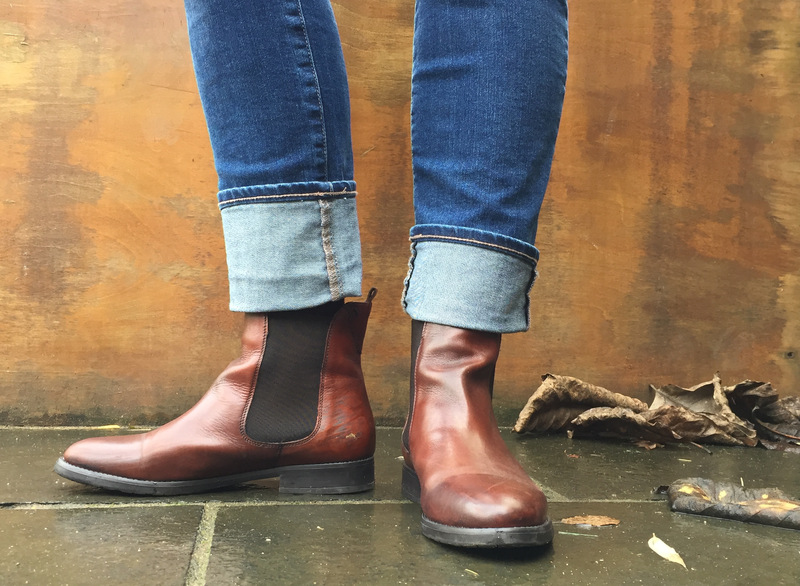 The dipped front flatters and lengthens your leg, and the cool cowboy styling makes you feel a little “yiha”! Another brand that I have learnt about from fellow bloggers Does My bum look 40 in this? and School Gate Style, is Seven Boot Lane. 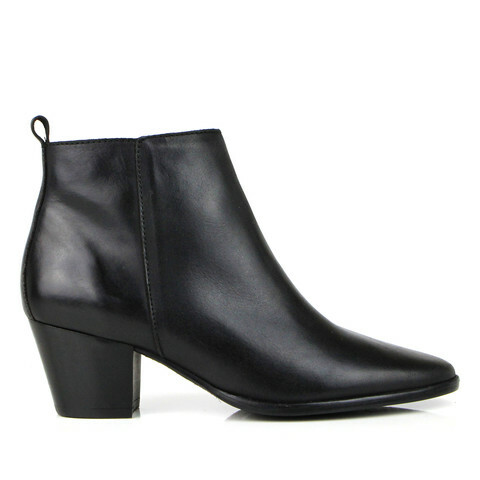 Simple ankle boot options for smart or cowboy casual, this Erin style, £150 is a perfect classic evening boot, as sleek with tailored trousers and party dresses alike. I’m loving boots full stop. Heeled courts, pumps and stilettos can take a running jump. My boots, my happy feet.